The breakthrough in calligraphy pen technology, the Parallel pen has a unique stainless steel double-blade nib. They are available in four different widths, which can be used at angles to create almost any thickness of line you could want. You can also transfer ink from the nib of one Parallel Pen to another, and create attractive graduated lettering and can make your drawings look unique and different. 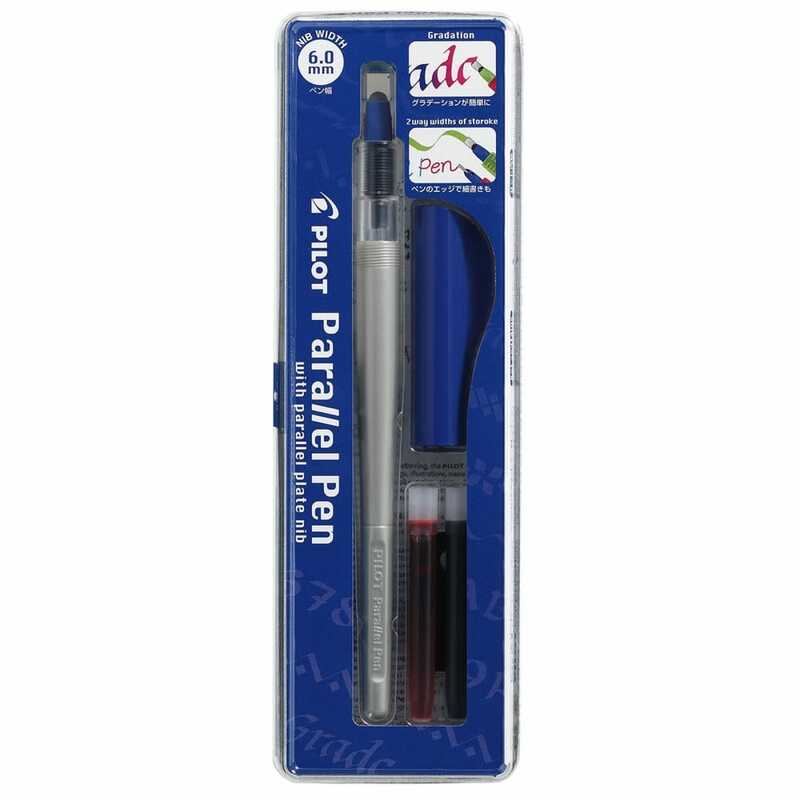 The parallel pen comes with black and red ink and is refillable with twelve different ink colours using IC-P3 cartridges.